Top comedians shook the Fantasy Dome, Trade Fair Centre, last Sunday, September 9 when they staged a brilliant performance to entertain Ghanaian comedy fans. The event, dubbed ‘Glo Laffta Fest’, hosted celebrated comedy stars like Basketmouth, Gordons Salvador, Senator, Khemikal, Foster Romanus, Dan D Humorous, DKB and a host of others. The event saw thousands of Ghanaian comedy fans gather in a cozy auditorium to laugh away their stress and relax on good music. 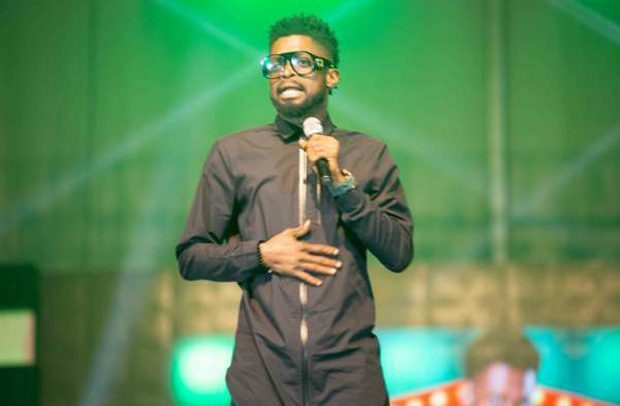 Basketmouth, one of the headline artistes, lived up to his fame as he sent the patrons laughing with his hilarious punch lines. He was at his best when he thrilled fans with some of his new rib-cracking jokes, which sent some of the patrons crying and laughing at the same. Other comedians such as Gordons, Salvador, Senator and others also lived up to expectation. They wowed patrons with their seemingly endless rib-cracking jokes, leaving patrons yearning for more. The event kicked off with performances from upcoming comedians such as MJ The Comedian, Comedian Warris and E-love. Glo will host another mega musical concert in Accra on Saturday, September 22 to entertain Ghanaians and its subscribers. Artistes billed to rock the event are Stonebwoy, Wizkid, Yemi Alade, Tekno, among others.